Specially for the Races, here’s our breaking news about how visitors were treated in our pleasant town in the 13th century. We Irish pride ourselves on our supposedly hospitable and open nature, our open house, kettle always on the boil, door always open, receptive ways. But we may not always have been so pleasant to visitors. Skeletons excavated by Moore Group archaeologists from just outside the Eyre Square Shopping centre date from the 13th century and appear to have experienced extremely violent deaths. 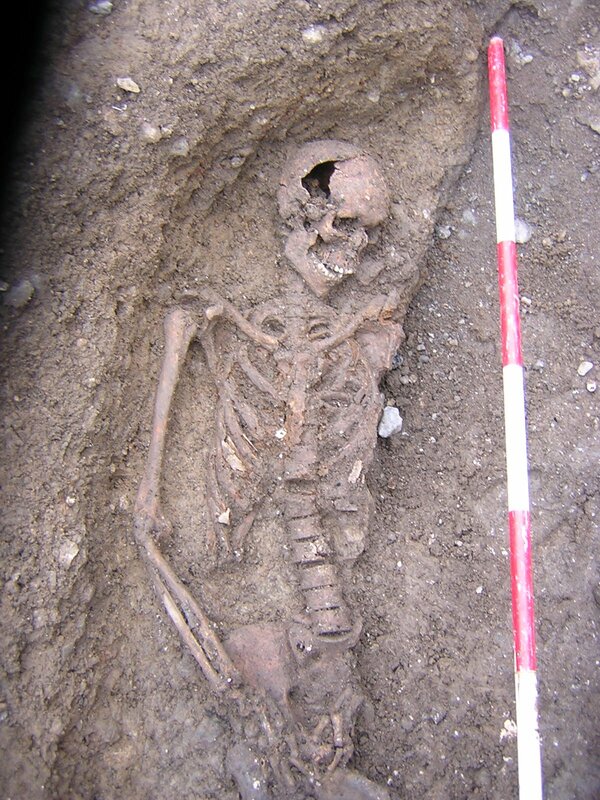 The remains, which were excavated during the Eyre Square Enhancement Project, date from between 1205 and 1305 AD according to recent Radio Carbon analysis results, and were killed as a result of head trauma. Moore Groups paleo-pathologist, Camilla Lofqvist, has completed her analysis of the remains and says “that of the nine articulated but disturbed skeletons excavated from outside the entrance of the Eyre Square shopping centre, several of the individuals exhibited blunt and sharp force trauma to the skull, vertebrae and other body parts.” One of the skeletons was that of a young male (possible aged in his mid to late twenties) who had received a blow to the left side of the head. This blow was most likely the cause of death as the bone showed no traces of healing and might have been caused by a pole axe or a war hammer. This individual displayed bilateral os acromiale on his scapulae, a condition which is endemic to archers. A second young male displayed stab marks and puncture wounds to the thoracic vertebrae and a right rib exhibited a puncture wound”. According to Camilla “this suggests the likely cause of death was that he was stabbed in the back, either in an ambush or while running away from his attacker. A young adult female skeleton (in her twenties) is perhaps the most intriguing of all the burials. She displayed a well healed trauma to the left frontal bone and also displayed a trauma to the left parietal bone. The sub triangular shape of the wound suggests this might have been caused by a war hammer or a pick axe and it is possible the blow came from behind”. Another male exhibited a rectangular indentation/perforation on the right frontal bone which was probably caused by a blow to the head. 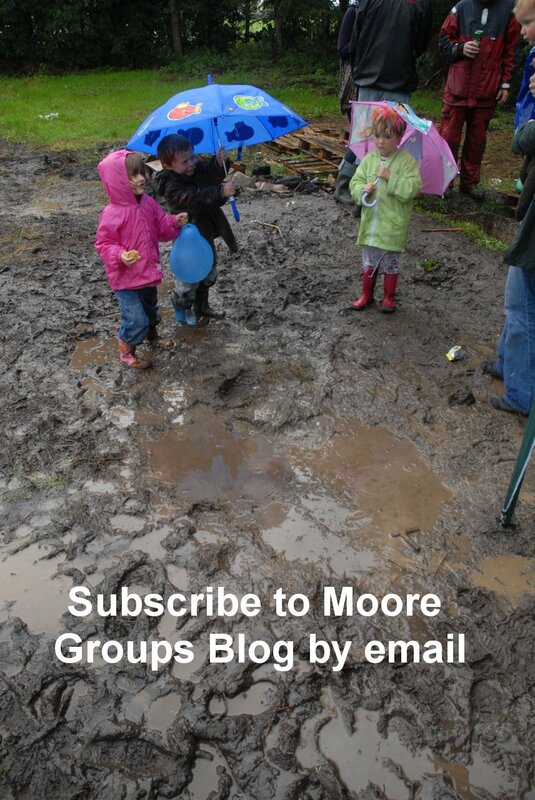 The excavations were sponsored by Galway City Council. Note on weapons: The 13th century saw the modification of swords, which could then rend a knight’s protective armour. 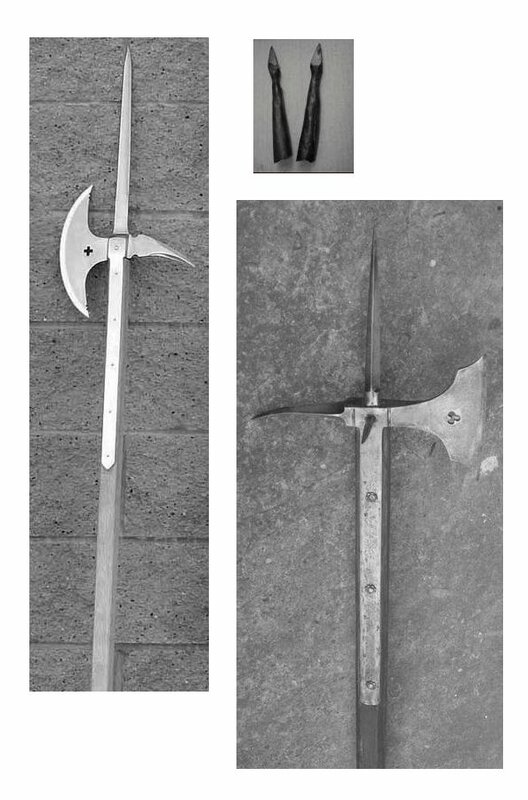 Short stabbing daggers were also used, as were a variety of axes (some of which were equipped with spikes), clubs, maces, spears, crossbows, and the sling. The most significant development of weapons technology during this century was the longbow. 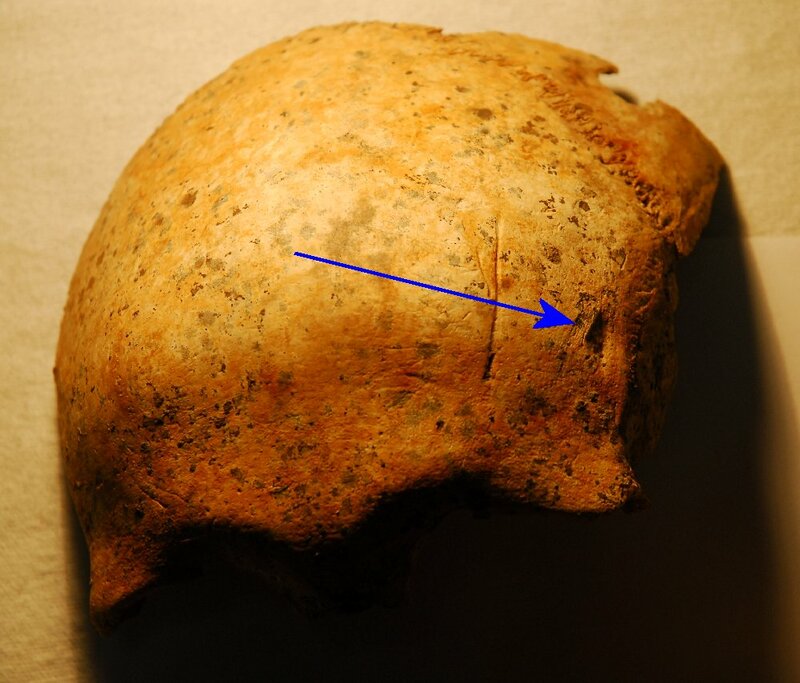 It is a possibility that the head wounds were caused by a weapon such as a poleaxe or arrow head. A selection of additional photographs can be viewed on Flickr at http://www.flickr.com/photos/29052189@N04/.